Safe reliable light in all conditions. SKU: 3-0014. Categories: Light & Heat, Tools & Gear. Never be left in the dark again. Lightsticks are a safe reliable source of portable light. Great for camping, hiking, backpacking, fishing, hunting, backyard fun with the kids, or just in case the electricity goes out. Each light stick lasts 12 hours and can be used as a warning light, marker light, signal light, dive light or safety light. Since there is no flame or heat, lightsticks are cool to the touch and can be used near clothing, gear or equipment. Each lightstick contains a hook for easy hanging on tents or backpacks as well as an eyehole to use with a lanyard. 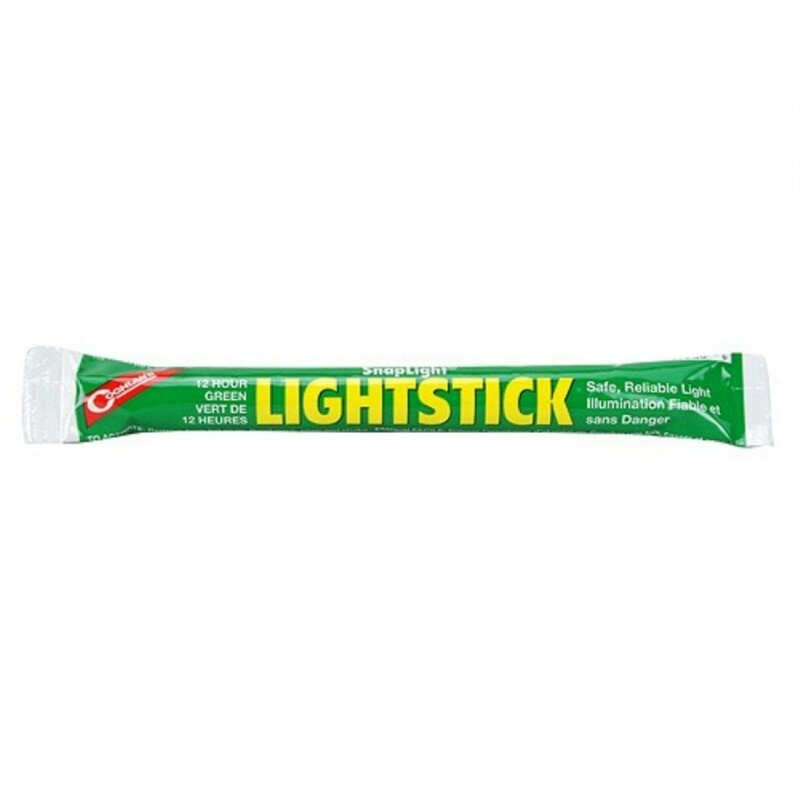 Simple and quick to use – just bend, snap and shake for instant long lasting light. Safe, non toxic, waterproof and weatherproof, and won’t attract insects.